Roy Fox Lichtenstein (; October 27, 1923 – September 29, 1997) was an American pop artist. During the 1960s, along with Andy Warhol, Jasper Johns, and James Rosenquist among others, he became a leading figure in the new art movement. 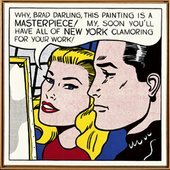 His work defined the premise of pop art through parody. Inspired by the comic strip, Lichtenstein produced precise compositions that documented while they parodied, often in a tongue-in-cheek manner. His work was influenced by popular advertising and the comic book style. 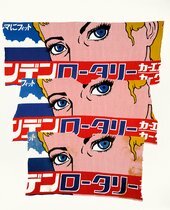 He described pop art as "not 'American' painting but actually industrial painting". 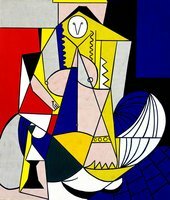 His paintings were exhibited at the Leo Castelli Gallery in New York City. Tate video: This two-day Global Pop symposium at Tate Modern explores Pop beyond the mainstream.